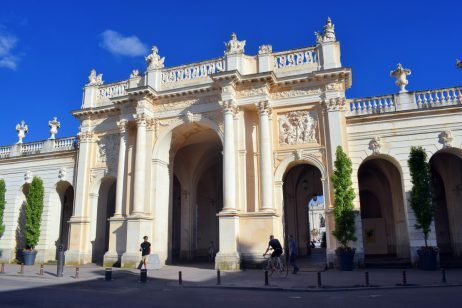 If Place Stanislas is the image of Nancy that is most often conveyed to the world, it should not overshadow the delightful Place de la Carrière situated on the other side of the triumphal arch. I really like walking across the whole length of the square from place Stan’ to reach the old town. 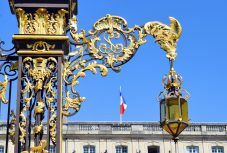 Follow the guide and discover the square and its little secrets. 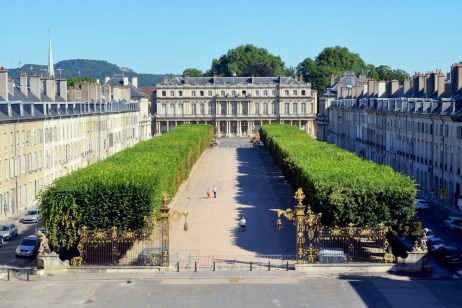 The discrete long square is part of the architectural ensemble of the 18th century wanted by Stanisław I Leszczyński, former King of Poland and father-in-law to King Louis XV of France. 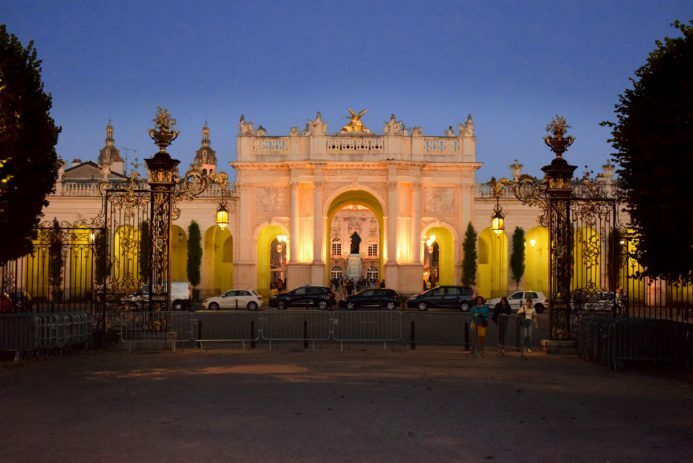 Place de la Carrière, along with Place Stanislas and Place d’Alliance have been listed as a UNESCO World Heritage Site since 1983. 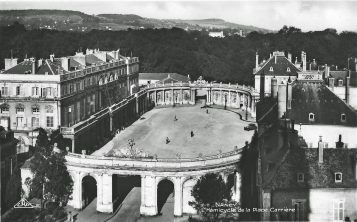 During the ducal period, the long square was used for horse training and served as a jousting and tournaments arena, hence its name of “Carrière” meaning racecourse. The square features in the etchings of Jacques Callot (1592–1635), a baroque printmaker and draftsman from Nancy. 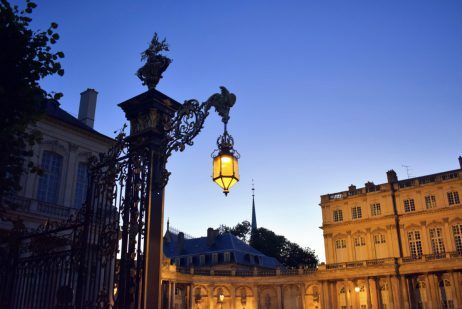 The square was redesigned by Héré in the 18th century to play a symmetric role in the great perspective starting from the City-Hall in Place Stanislas. 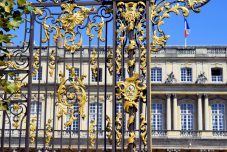 Before remodelling the square, the house of the Beauvau-Craon family was the only mansion standing on the site. 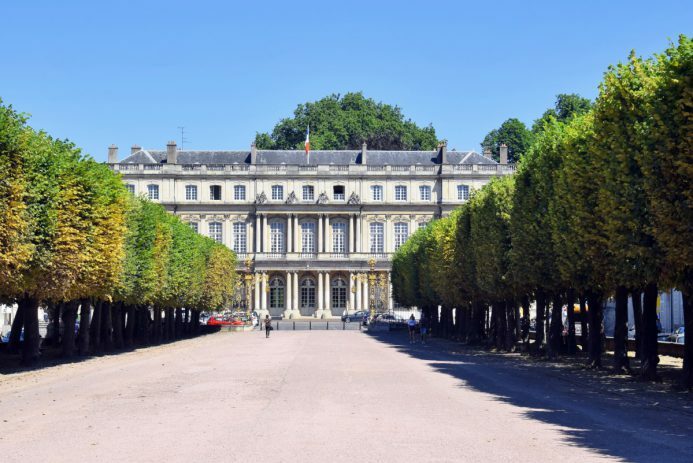 The residence of Marc de Beauvau-Craon, husband of the Duke’s mistress, was built in 1713 by Boffrand, architect of Leopold, Duke of Lorraine. Today, the building is occupied by the Court of Appeal. In 1752, Héré took the Beauvau-Craon townhouse as a model to raise a similar mansion opposite it, this to provide symmetry: the Stock-exchange House (Bourse des Marchands). 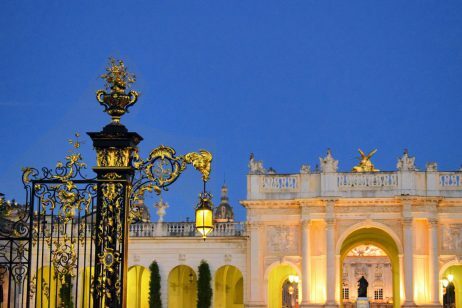 The two mansions bear resemblance to the four pavilions built by Héré on Place Stanislas. 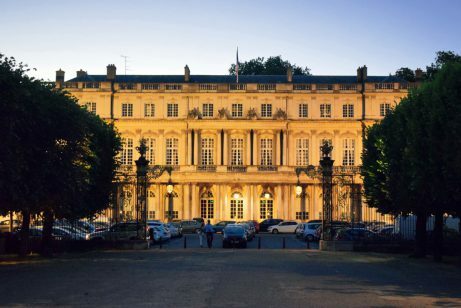 Then the architect had the long square bordered with fine 18th century private mansions. Place de la Carrière is linked to Place Stanislas by the Arc de Triomphe (or Arc Héré) built in the mid-18th century to honour King Louis XV. Place de la Carrière is 290 m long and 50 m wide. 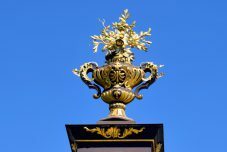 The square is graced by a central platform with two rows of linden trees on each side and bordered by a low wall adorned with vases and allegorical figures. Not many visitors will spot them. Look for the small fountain on each corner of the square. They are adorned with graceful statues of children. 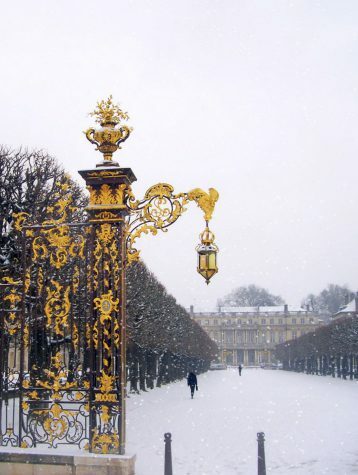 At the North and South extremities of the square are Rococo-style wrought-iron railings decorated with gold leaf. They were designed by Nancy’s ironmonger Jean Lamour (1698-1771). 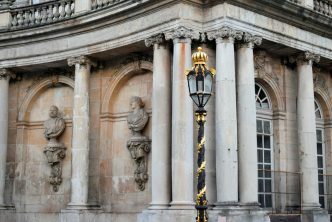 They are similar to those found in Place Stanislas with their lantern brackets. In 1717, to the North end of the square, Duke Leopold had started building a “New Louvre” which would have replaced the old Ducal Palace. 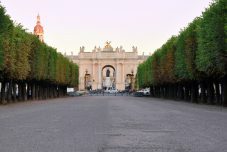 However, Stanislas, the new master of Lorraine did not approve of this project and instead chose to erect in the same location the “New Intendance” (Nouvelle Intendance), based on Héré’s plans. 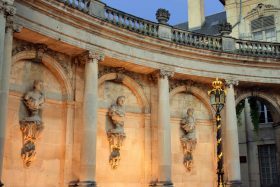 Known today as Palais du Gouvernement, the palace magnificently ends the perspective which spans from the City Hall in Place Stanislas. 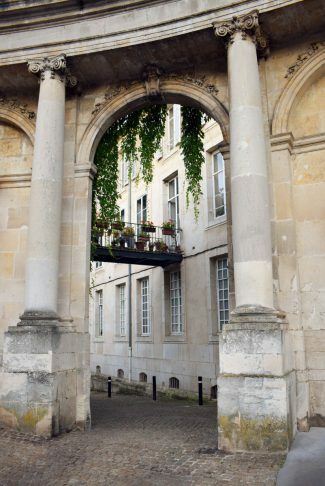 The Neo-Classical building is set at the centre of a semicircle of columns decorated with antique divinities, which links it to two townhouses: Hôtel Héré and Hôtel de Morvilliers. This part of the Place de la Carrière is also known as the ‘hemicycle‘. 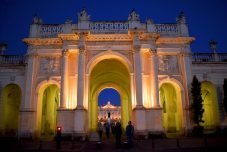 The majestic palace closes the grand perspective leading to the triumphal arch, the royal square of Place Stanislas and the City-Hall. The building consists of three levels of elevation and its façade is flanked by three foreparts. 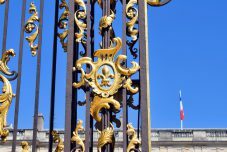 The entablature of the central forepart supports four allegorical groups: the Justice of the Monarch, the Truth, the Fertility and the Power. 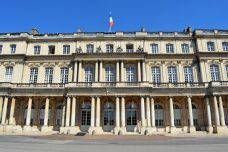 The Palais du Gouvernement takes its name to the French government which was de facto ruling the province of Lorraine under the reign of Stanisław Leszczyński (or Stanislas in French). 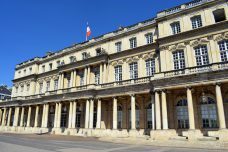 It is often wrongly called “Palais du Gouverneur” because it was the headquarters of the military governor of Nancy from the mid-19th century to 2010 when it was retroceded to the municipality. 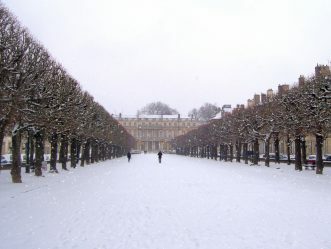 The rear façade opens onto a small and quiet garden which is connected to the Pépinière Park. 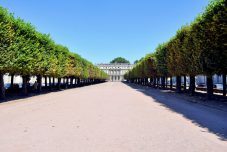 Some plane-trees date back to the creation of the garden more than 250 years ago. The little garden is not accessible at the moment (September 2018). It will be renovated soon. 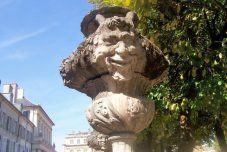 Walk towards the Morvilliers pavillon and find the entrance to the small rue des écuries through an opening in the colonnade. The old narrow street was created in 1571 between the new ramparts and the houses bordering the place de la Carrière which had been built in 1560. At first the site was intended to welcome the horses of the duke of Lorraine. 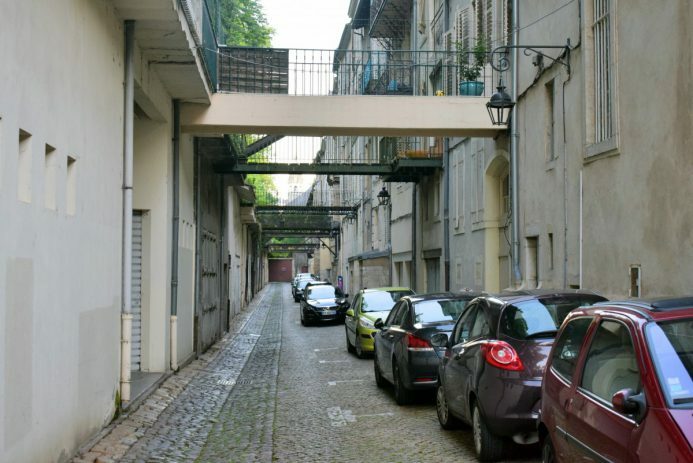 The rue des écuries remains really picturesque despite being used today as garages and sheds. 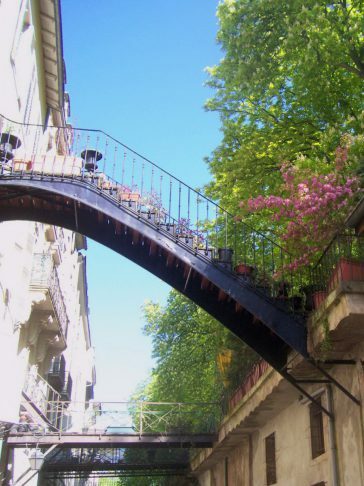 You’ll find yourself in an other world with its footbridges spanning the rue des écuries. They leads the street’s residents to small private gardens. All year long, various events (festivals, gatherings, markets…) are organised in Place de la Carrière. In September, Place de la Carrière welcomes one of France’s largest book fair with over 450 authors and 120,000 visitors. 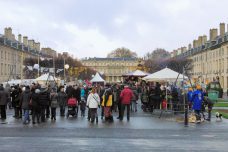 During the Saint-Nicolas celebrations, a flea-market (brocante) takes place on the square as well as the Giant Soup Party for kids: la soupe à la marmaille! 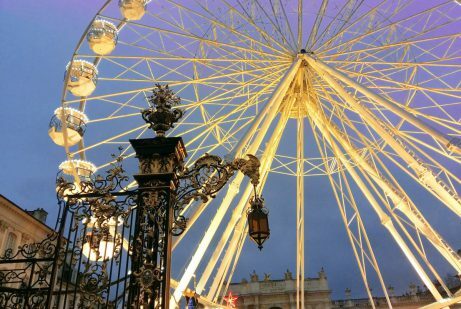 For the last couple of years, a great Ferris wheel has been set up in front of the Arc de Triomphe. 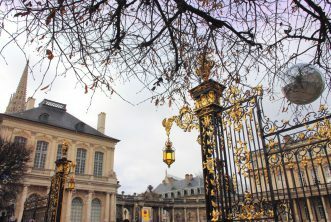 During the month of December, take a ride and discover the 18th century district of Nancy in a new and fascinating way! During the Christmas season, Place de la Carrière is adorned with Christmas decorations. 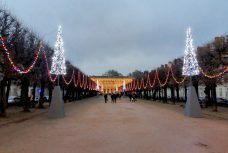 The Arc de Triomphe is majestically illuminated and invites the visitors to reach the giant Christmas tree at Place Stanislas. 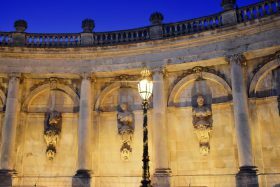 Check out the website of the Tourist Information Centre for more info about Nancy.